The pensioners are coming to Aylesbury! Direct Line for Business has just released the results of some interesting research that reveals 32% of people aged 45 - 64 who have a pension would consider using all or some of their funds to purchase a buy to let property as an alternative to a traditional pension income funded by an annuity. With the pension regulations change in April giving people access to some or all of their pension pots this is likely to mean an increased number of buyers in the property market (as mentioned in previous posts). We will have to wait and see if this translates in to stronger prices but this is likely as the market(in terms of volume) is still relatively small compared to 2006/2007.Quite small numbers of new buyers could make a substantial impact. Therefore it makes sense to buy now, rather than wait, if you have funds available. But will the waiting game pay off? Well it just might- if the election is inconclusive, rates go up or the European economy starts to bite us. The research also shows that the main reason for considering the purchase of buy to let property is regular income (43%), but in 17% of cases it is capital appreciation. No surprise in the desire for income but the latter is more revealing as it indicates that these buyers are most likely to buy just one property rather than attempt to build up a portfolio. To build a portfolio the capital increase is desirable to generate greater equity which can be reinvested to make further purchases.When I first came in to the business the odd investor you came across was likely to be a wealthy individual with multiple properties, very different today. Most of my landlords are like you and me , trying to maximise returns from income by investing in property rather than trying to make a living from it. Whatever your view the market remains busy and prices strong, great rents are being achieved for good property in good condition in good locations as always and void periods are minimal. About to take the plunge and buy your first investment or adding to an existing portfolio? Get in touch and I will be happy to talk you though what is going on at the coal face. Great choice of two properties in Aylesbury. Hope you have all had a good start to the year. It has been pretty lively here in Temple Street which has been great...good level of new instructions and some of them have let very swiftly and at strong prices. 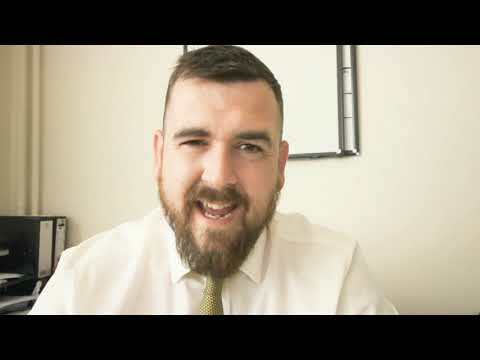 I have just finished discussing market conditions with a new landlord hoping to buy his first property in the coming weeks and just have time to share the property tips I have given him with you before embarking on a weekend. The business press is full of positive housing market news...record low mortgage rates, record levels lent to buy to let landlords, there are now in excess of one million buy to let mortgages and so on. Doesn't look like the market is about to change! This excellent one bedroom freehold property in Webster Road offers an ideal opportunity for a by-to-let investment. The property is situated on the much sought after South side of Aylesbury and benefits from being offered with no upper chain. One the ground floor there is a good sized lounge and kitchen whilst on the first floor a double bedroom and bathroom with white suite. The property does require a degree of tidying up, however is priced accordingly. Outside there is a small area of garden and two allocated parking spaces. At £149,950 with an achievable rent of around £625pcm this offers a return of 5%. This excellent two bedroom second floor flat is situated just off Pine Street on the sought after Fairford Leys development. The property has high ceilings throughout and accommodation that includes a spacious lounge opening into a modern fitted kitchen, a large master bedroom with en suite shower room together with a good size second bedroom and bathroom. In addition the property benefits from two allocated parking spaces which are situated in a secure underground car park just a short talk from the flat. What does 2015 hold for the Aylesbury property investor? If 2014 is anything to go on the property world looks pretty good. We had substantial capital growth through last year and increased rental returns, food and drink to investors. This year has a number of conflicting issues looming. We can hardly miss the fact there is an election coming (usually a dampening effect on the property market), stamp duty changes have been implemented to most peoples benefit(positive), pension rules change in April (could release many new investors in to the market, drive prices up), lenders are keen to lend at unprecedented low rates (cheap money available to those with good deposits), high and rising employment levels reinforce consumer confidence. On balance the market looks good. An inconclusive election result could have a negative impact and the European economy is unlikely to help us much. An interest rate rise before the election looks unlikely. In summary if you are thinking of buying this year , right now is probably a good time to do so,before we see further price increases and while new stock is starting to arrive in the market place. If you want to talk through your investment plans please give me a call on 01296 398555. Nala is now 8 months old, about to reunite with her 8 siblings for a walk this weekend...could be interesting! This excellent end terrace property was originally constructed by Wimpey Homes to their popular Carey design. The property is offered in good decorative order throughout and benefits from a modern refitted bathroom as well as a good sized refitted kitchen/dining room. In addition there are two good size bedrooms as well and a large lounge. To the rear is a low maintenance garden and the property also benefits from a single garage.All sounds good to me. With a rent around £795pcm thats an annual gross return just shy of 4.9%. Consider also that most pundits are forecasting further price increases this year, not as strong as 2014 but still around 5%. That would give you capital growth of £9745.00!